My First Ever Wedding Fayre! I was filled with excitement and anxiety when Kevin invited me to join Music Wedding Videos in their adventure to the NEC last weekend to exhibit at The National Wedding Show. I didn’t really know what to expect. I was aware that many exhibitors would know each other, and that The National Wedding Show meant serious business. I felt like I was being thrown in the deep-end; a 19-year-old social-media apprentice that had experienced about two weeks in the wedding industry. I knew it would be a huge insight to what the wedding industry was all about. Shortly after we arrived, couples began buzzing around the building. I was most nervous about pitching Music Wedding Videos to complete strangers, and having them walk past with no real acknowledgement that I was trying to talk to them. Inevitably, this did happen. But before long I began to learn the kind of things I needed to say to catch people’s attention. As I chatted away with visitors, the product on the screen behind me helped sell itself. It was fabulous seeing people’s faces light up at the fun, crazy videos being played. “That’s brilliant!” and “I absolutely love it!” stick in my mind especially. It was also amazing to find that the relatively new concept of ‘marryoke’ was not unknown to everyone. Some visitors were completely unaware of idea, whereas others stated they were in fact searching for the perfect marryoke for their big day. 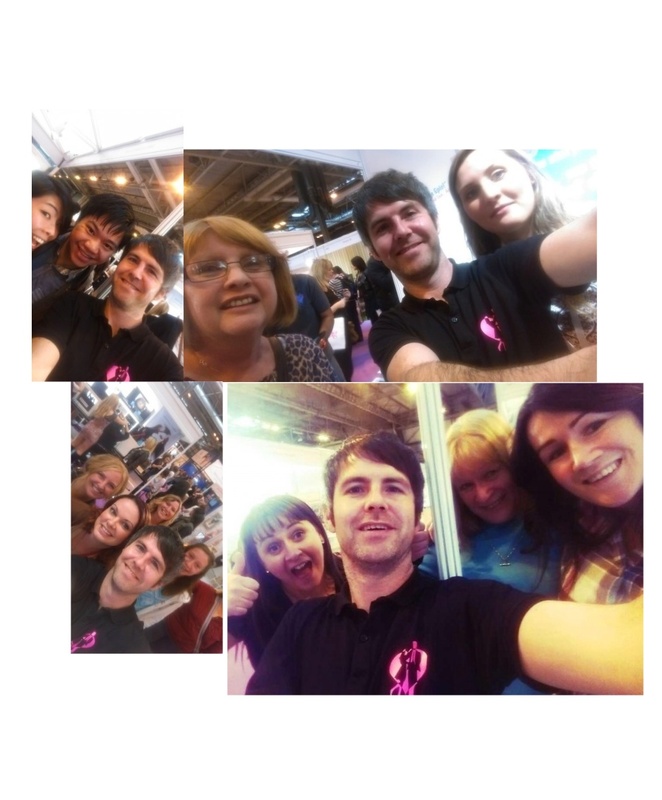 We met lots of amazing people over the weekend at the NEC, visitors and exhibitors alike. We were surrounded by some fabulous looking stalls. One of our neighboring stalls was Funky Fudges; I had never seen so much delicious looking fudge in one place at one time! Close-by we also had Chris Fletcher the Magician, who regularly swung by to perform some side-splittingly funny tricks on us. Down the way we also had the fabulous Briefly Demure Lingerie, who certainly raised a few eye-brows with their marketing techniques this year! With live models strutting their stuff, they were pretty hard to miss! It was an absolute pleasure to be a part of The National Wedding Show over the weekend. It was a big eye-opener to how people tick in the wedding industry, that’s referring to businesses and weds-to-be. After three years at The National Wedding Show, Music Wedding Videos made record numbers of bookings – our most successful show yet! I very much look forward to getting involved in future wedding fayres! You have won your £250 deposit which can be used towards any of our packages. Please get in touch before Friday 19th October to claim your prize. If you’re not a winner, check your email for awesome runner-up prizes!